As with any fine jewelry item, an ultrasonic cleaner can be used. However, it is best to be gentle with your valuable treasures. Dispersion refers to the prism effect that occurs when pure white light enters a non-opaque object, breaks into spectral (rainbow) colors, and reflects back to the viewer. Shape: Round Brilliant cut. Color: Near white. ·It will not look like a piece of rock salt, like cubic zirconia, after two weeks. Cut: Excellent. You can be sure that we will do everything possible to make things right. in case of late information expected. all our jewelry is 100% natural conflict free. Cz Gems are Wholesale Supplier of all type of Gem Stones, precious, semiprecious stones and Rough. 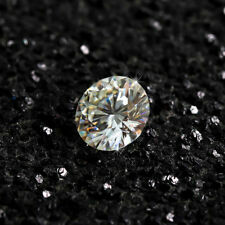 SHAPE : Brilliant Round (Diamond Cut). So you can be assured of what you are buying. SIZE : (LxWxH) 6.60 x 6.60 x 3.84 MM. COLOR : White (Color Less). SI Slight Inclusion Visible At Arm's Half Length. Color: F-G-H Full Fiery White. Very happy! Full white! 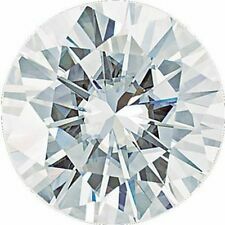 Cut just like a diamond in brillance. Brillant like a diamond. Shape: Round Brilliant Cut. I’m not an expert but it looks colorless and bright. Clarity : VVS1. 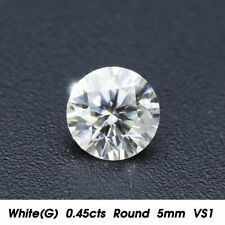 Carat : 3.00 Ct. Shape : Brilliant Cushion Cut. Color : White H-I. We keep you updated regarding the status of your order. Gem Color: White. Gem Weight: 1.00 Carat. Gem Shape: Round. Gem Quantity: 1. Item Type: Ring.